This is the last tip in the How to Win a Scholarship series. If you missed any tip, click here. Getting selected for an interview is a privilege and an indication that your application met the desired qualities, so congratulate yourself so far. Now it’s time to do or die. Generally, each interview is different from another and so the interviewers will ask questions that are tailored to the specific scholarship program you’re applying for. The interview can be conducted via phone calls, skype chat or physically depending with the geographical dynamics and convenience of both the interviewer(s) and interviewee. This is not time to ramble or get nervous; it’s an opportunity to confidently present yourself as a competitive candidate as you demonstrated in your application. Have a detailed knowledge of your field of study and the research topic you are likely to undertake. Ensure your medium of interview is available and working appropriately. For example, quiet environment, good internet, etc. Prepare a list of points you’d like to make about yourself. Ensure you review all your application materials thoroughly. Ensure you thoroughly review the details of the scholarship. Understand the question, take your time responding to questions; don’t rush your answers. Relax and be comfortable to speak naturally not to sound as if you are under pressure, in panic or lying. Keep your answers to the point and succinct. Avoid going on long tangents or rambling about an irrelevant issue. Don’t be overexcited and again you should not sound or look bored. Show your passion and enthusiasm for the course you are about to start and the university. You should be able to relate and demonstrate a sophisticated grasp of the issues facing your community and how your study will be part of the solution to this problem. After the interview, they will likely ask you if you have any question or comment. Please feel free to say something but it should add points to your interview. For example, thank them for the education opportunity they are giving the young people. At least something they will remember you for. Finally thank them for their time and for listening to you. Previous Posts in the Series. Remember if you have any questions or comments, you are welcome to do so below this post. Share this with all the people in your network. you never can tell who needs it. Join us on Facebook, Let's interact via Twitter and Subscribe via Email if you don't want to miss any updates. Douglas holds a Bachelors in International Business Administration (Hons) from US International University (Kenya) and an MBA – International Business in South Korea. He is a Global Changemaker with British Council, Certified Youth Peer Educator, Peace Ambassador, Scholarship Adviser and a Mentor to high school pupils. 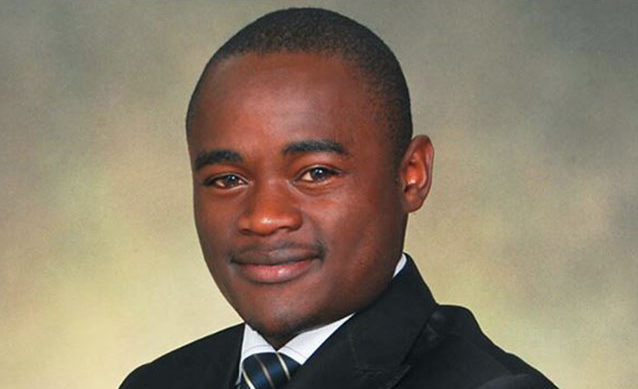 He previously worked for I Choose Life-Africa (NGO) and Kenya Commercial Bank Group. Chuks Enemchukwu writes from Portland, USA!